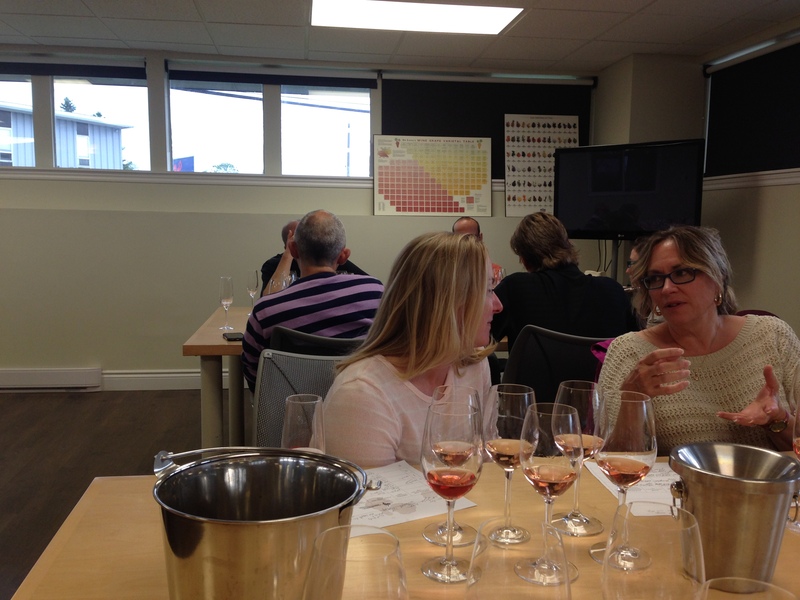 This past week I had the pleasure of attending the Annual Rosé Wine tasting from the Atlantic Chapter of the Canadian Association of Professional Sommeliers, and we tasted a wide variety of blush wines from 4 different countries. Rosé wines may be one of the oldest types of wines and incorporates some of its color from the skins of the grapes, but not enough to make it a red wine. Both red and white grape varieties are used in making Rosé wine, as I will explain a little later. The key thing about Rosé wine is temperature. 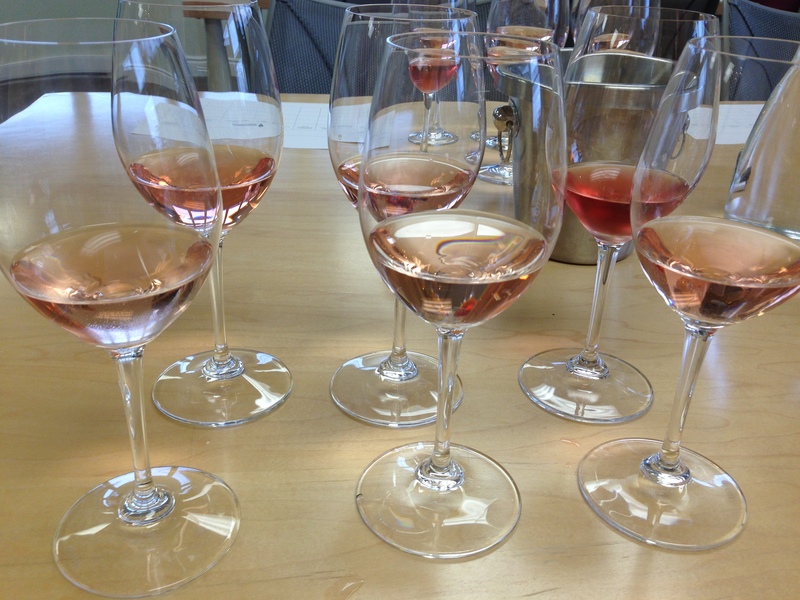 Few wines will temperature have the impact on the taste and on the aromas as with a Rosé. During the course of the evening, our wines warmed up and everybody commented on the differences. And then we re-poured from the chilling bottle, and people warmed up to the wines once again… Pardon the Pun! 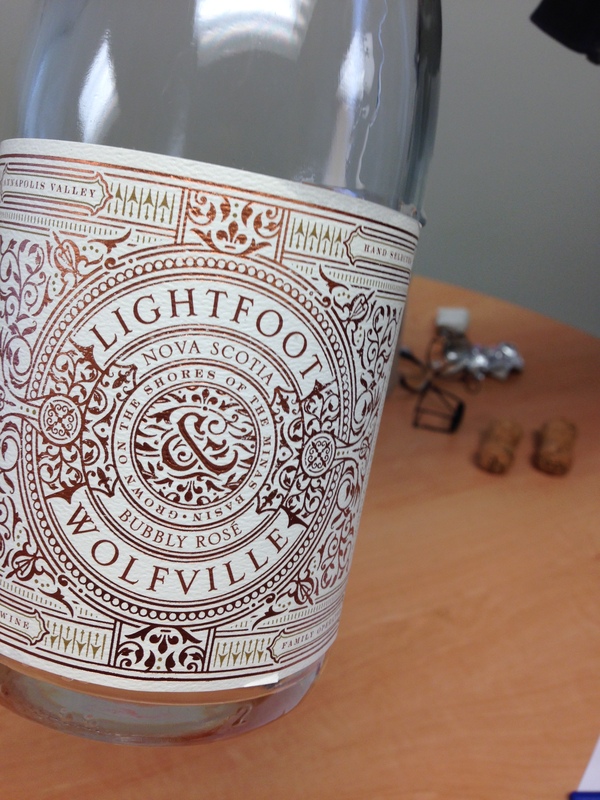 At the reception we enjoyed the inaugural Rosé wine from Lightfoot & Wolfville – the Bubbly Rosé 2015. This Nova Scotia vineyard is making headlines with their spectacular wines, and this Rosé did not disappoint. Located in the Anapolis Valley, this Canadian vineyard is committed to certified organic and biodynamic agriculture. This bubbly Rosé with its generous acidity and spectacular effervescent quality, exploded with flavor on the palate. Pinot Noir, Pinot Meunier and some Geisenhelm make up this great wine. The effervescence on the palate still gave away to delicate strawberry and citrus flavors. This Nova Scotia labour of love was one of my favourites of the evening! 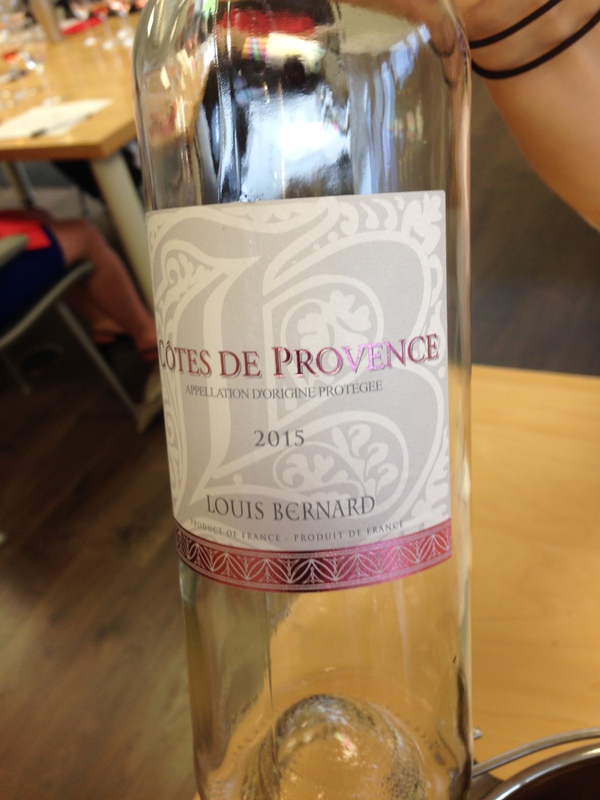 Another very popular Rosé wine that evening was the Louis Bernard Cotes de Provence Rosé 2015 from France, which is a combination of Grenache and Syrah. I liked this Rosé because it was very dry, but very soft, and not at all flat on flavor. I liked the acidity of this wine and the strawberry flavors were very evident and many of the tasters that evening found it to be very well-balanced. Great Summer patio wine. This was probably the most talked about wine of the evening. Why? Because it looks like your typical Rosé wine and then you bring it to your nose and Wham! Anise, black licorice and other aromas you wouldn’t expect from a Rosé wine. 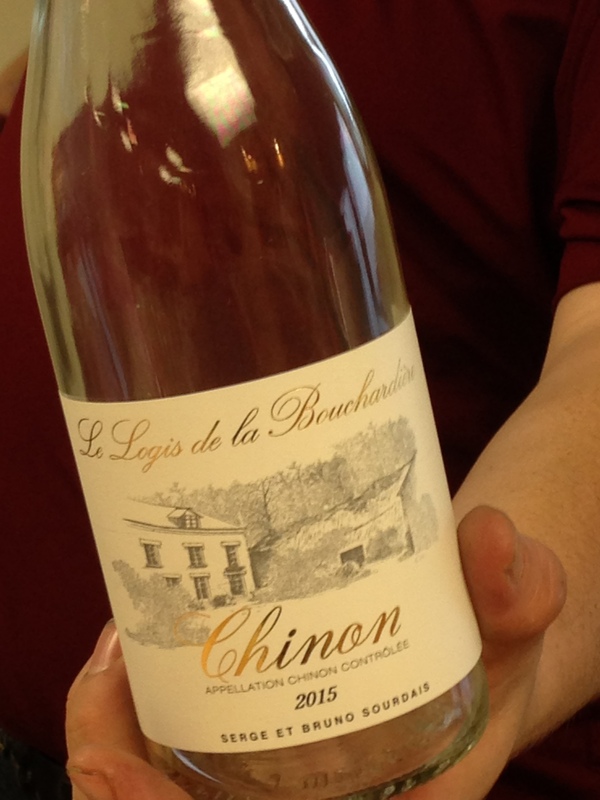 The 2015 Le Logis de la Bouchardiere Chinon is made by 6th generation wine-makers dating back to 1850 and packs a punch with 13% alcohol. It was a heavier wine than most of the other Rosé wines, and those licorice flavors were there on the palate as well. One of the ladies I was sitting with also commented she tasted toasted caramel. Again, an unusual flavour to be found in a blush wine. It contains some Cabernet Franc, which explains the caramel and anise licorice tones. Cabernet Franc is used in the Bordeaux region a lot, blending with Cabernet Sauvignon and Merlot, so it was a little unusual to see it show up in a Rosé wine. I apologize for the blurry picture so I included a stock picture. This was the deepest colored Rosé wine of the evening, and when we found it was a Rioja from Spain that contains 96% Tempranillo, it made sense. 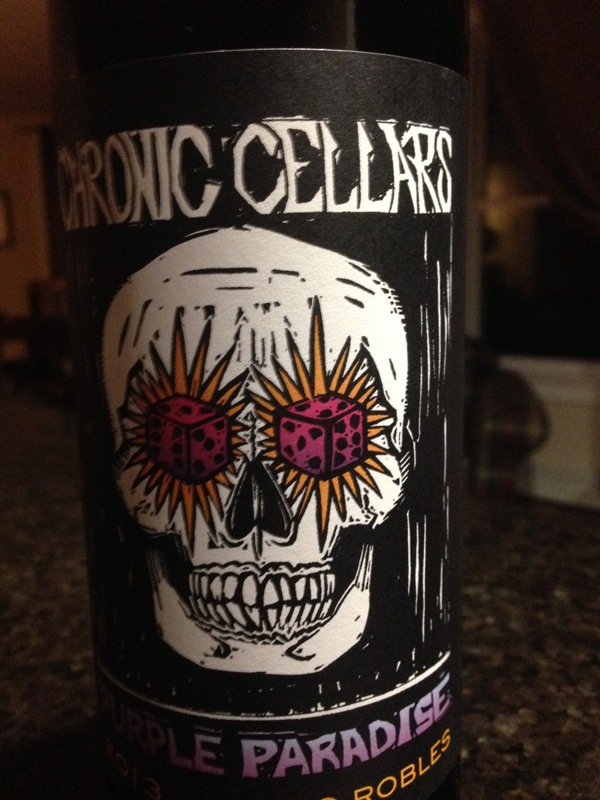 The other 4% is also a red grape, Grenache, and will probably come as no surprise that it has 13.5% alcohol. The rep for this wine was in attendance and said the next vintage will probably be lighter, less time on the skins. It’s a fantastic wine that is priced at $16. Most Rosé wines pair well with salads, appetizers, or made for patio sipping. This had a little more body and actually would pair well with grilled chicken or grilled pork. My wine of the week is also a Rosé… one of my favorites from the evening, but although many people put it in the Top 3 of the evening, I think I was the only person who loved it as much as I did. 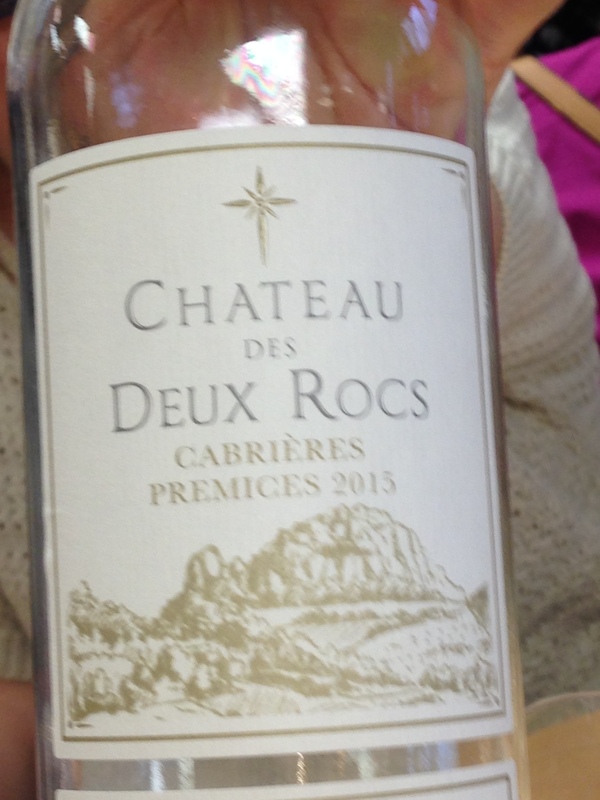 The Chateau des Deux Rocs Cabieres Premices 2015 is a mouthful to say and an interesting mouthful of Rosé on the palate. This was a great example of how temperature played a role in the taste of the wine. It was the 5th wine we had tried and because it was warm that evening, the temperature of this wine had really warmed up. One of the ladies I was sitting with commented on how this was her least favorite. 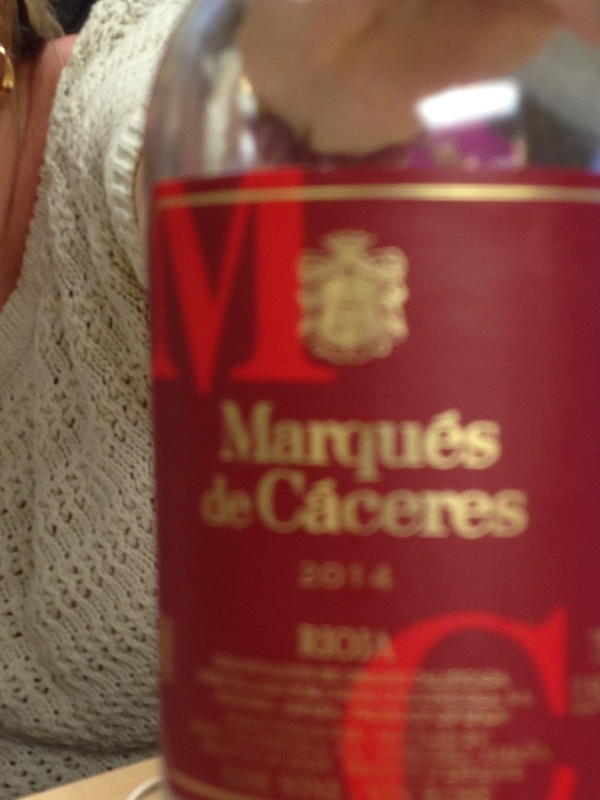 When we re-poured from the fridge, she was astonished to realize how much she really liked this wine. I loved the tropical fruit flavors, the notes of tangerine, and citrus flavors. I thought it made for an interesting wine. I don’t drink a lot of Rosé as a rule, but I’m going to start. It’s a great aperitif wine and a great wine for Summer. One of the questions I get asked as a Sommelier in training and a wine-lover, is the temperature of wine. And with the warmer weather upon us, I thought I would touch on this subject. Most people, and I mean most people, still serve red wine at current ‘room temperatures’. These temperatures are too warm for a red wine. 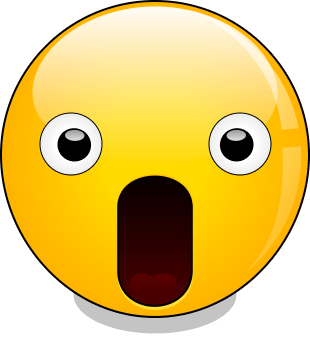 The term ‘room temperature’ was designed as such, to reflect the room temperature of the underground wine cellars which were basically around 55-degrees Fahrenheit which is about 13-degrees celsius. Yup, red wine is to be served between 13-degrees to 18-degrees tops! 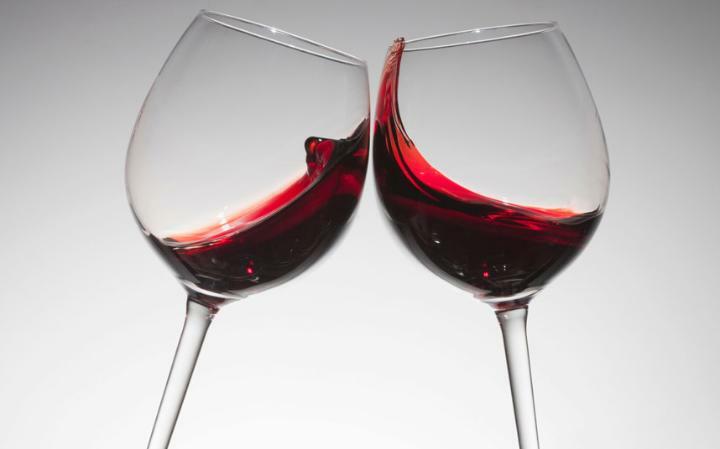 Average red wine, 15 – 16 degrees! Jaws are dropping right about now . And I’m willing to bet there are a few people headed over to their thermostats to see what the temperature in the room is. And if it’s in the 20’s, you shouldn’t be drinking your red wine straight out of the wine rack. You see, different room temperatures can do very different things to wine. The biggest one for me personally is the taste. Duh! A warmer red wine tastes jammier than it’s supposed to. Now many red wines have jammy flavors, but they are not supposed to over-power the wine. If all you can taste is jamminess, you could be missing out on a bunch of other subtle flavors and nuances that the winemaker had in mind. I have the same problem with a red wine that is too cold. Some of the subtle flavors can be basically frozen. There isn’t much chance you will serve your white or rose wines at the wrong temperature because chances are you keep them in the refrigerator. Reds, however, tend to be kept in wine racks or in cupboards. Here’s the solution. Put your bottle of red wine in the refrigerator for about 30 minutes, and you will notice a big difference. Some people also store a red wine in the refrigerator and take it out 30 minutes before they go to serve it. This is a great idea in the Summer months. And keep your wines in a cooler place, you don’t want your red wine or any wine to be in a room that is warmer than 30-degrees Celsius. 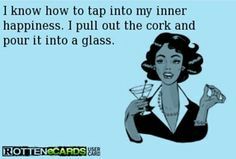 It can alter the wine. And don’t think because you are in a restaurant, even a fancy restaurant, or even a wine bar, that they are serving the wine at the proper temperature. It continues to amaze me how many restaurants serve their red wine at the wrong temperatures. Don’t be afraid to ask for an ice bucket, even if you are having a red wine. Especially in the upcoming Summer months. You can always take it out of the bucket if you feel it’s getting too cold. Here’s a new wine I’ve tried this past week. 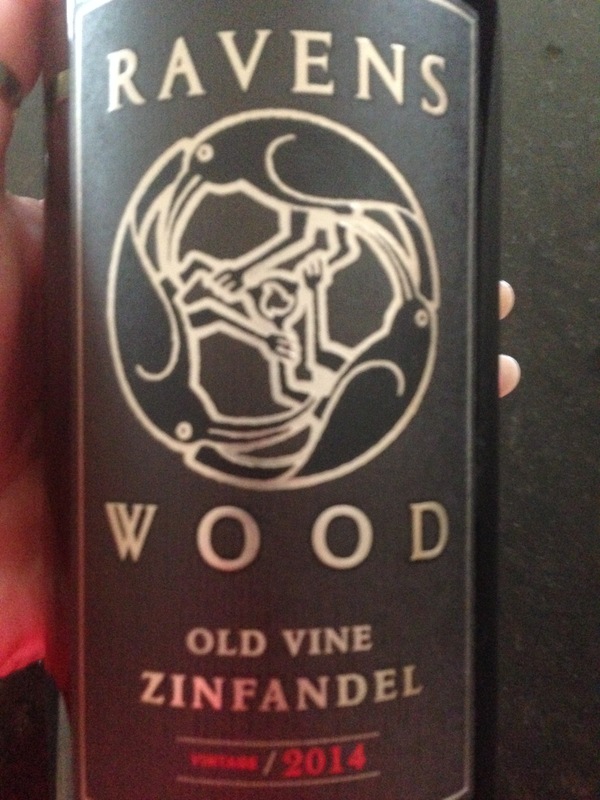 The Ravenswood Old Vine Zinfandel. Now I have had it’s sister wine before, which is also a Zinfandel but not an old vine Zinfandel. You maybe asking yourself what’s the difference? Old vines tend to be at least 40 to 50 years old. Here’s a picture of the sister wiine. I have probably written about it. Well this vineyard has put out an Old Vine Zinfandel and I got to enjoy the 2014 version. This was an interesting wine because 2 people I know who aren’t normally Zinfandel fans, tried this wine and liked it. This family has been making Zinfandel wine for 40 years, and let me tell you, I think they are getting quite good ad it. Bright and friendly, this wine boasts cherry, raspberry jam and spicy clove flavors. I liked it………. a lot! Two brothers, Jake and Josh Beckett, who were raised in the heart of Paso Robles, had an idea for a wine that fits a casual lifestyle. Both these brothers worked for Peachy Canyon Vineyard, which of course I’m a huge fan of those wines. And in 2004 decided to do their own project and launched this wine for the first time in 2008. Here’s a picture of the two brothers having a bit of fun. They have made a bubbly wine, a dessert wine, several whites and several reds. All with uniquely different labels that might have you thinking, hmmm, wonder what the wine is like. I had the Purple Paradise which is a combination Zinfandel, Syrah, Petite Sirah and Grenache. This is a great wine at a great price. Smoky vanilla flavors with lush fruit, cherries, chocolate and a hint of leather. What’s not to love. Try this wine this Summer with a BBQ, you’ll love it. This week was a week of catching up with friends and catching up with friends can mean exercise, as I did with my friend Dan, pictured above. 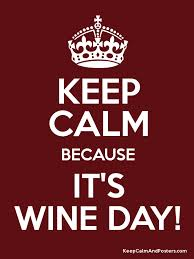 Or it can mean great food and wine with great friends, as I did with my friend Judy. Along the way I tried some new wines and thought I would share them with you. I do love an Italian Rosso, having first tried a Rosso wine at Francis Ford Coppola’s vineyard in the Napa Valley. This one from Bolla, comes from the Verona region, which features lots of clay in the soil. I always find that clay type soil makes for a rich and well-balanced wines. This particular wine would pair well with a wide variety of foods including pasta, pizza, cold cuts, charcuterie boards, and would be just great sipping all by itself. Speaking of Rosso, this was a new wine I tried this past week. As I mentioned previously my first Rosso came from Francis Ford Coppola’s Vineyard. I was in the Napa Valley in 2001 and went to his vineyard and tried it there. This is a bit of a different blend and it was my first time trying this particular one. The Coppola Rosso & Bianca Cabernet Sauvignon also contains Zinfandel and Syrah, and was designed as an everyday table wine. Plum, cherry, mocha and vanilla flavors blend together nicely and what the winemaker had in mind was to create a wine that would go well with just about any meal. Mission accomplished! It’s Rose season and the more Rose wines I drink, the more I absolutely fall in love with them. They are perfect summer wines, perfect patio wines and perfect wines for pairing with appetizers. This delightful rose wine from a local Nova Scotia Vineyard is deserving of some special attention. It is made with Pinot Muenier, Pinot Noir and Geisenheim, which is a grape that originated in Germany’s Rheingau region but also grows well here locally. The heavenly mouthfeel on this wine is followed by crisp flavors of wild strawberries and notes of peach, and a spectacular off-dry finish which I really enjoy in a rose wine. We go back to the vineyards of Francis Ford Coppola, the 2012 Directors Cut Zinfandel from the Dry Creek Valley region in California. This was definitely my treat of the week. It is a very unique Zinfandel because it is blended with Petite Sirah, which adds structure and weight, but also a complexity to the wine. Rich fruit jam, decadent chocolate and voluptuous black pepper flavors make for a new favorite of mine in the Zinfandel family. Comes in around the $45 price range here, but worth it! Till next week, Cheers to all my friends, who would never ask if it’s too early for a glass of wine. On Sunday these two beautiful people will celebrate their 58th wedding anniversary I’m very lucky because these two people are my parents. 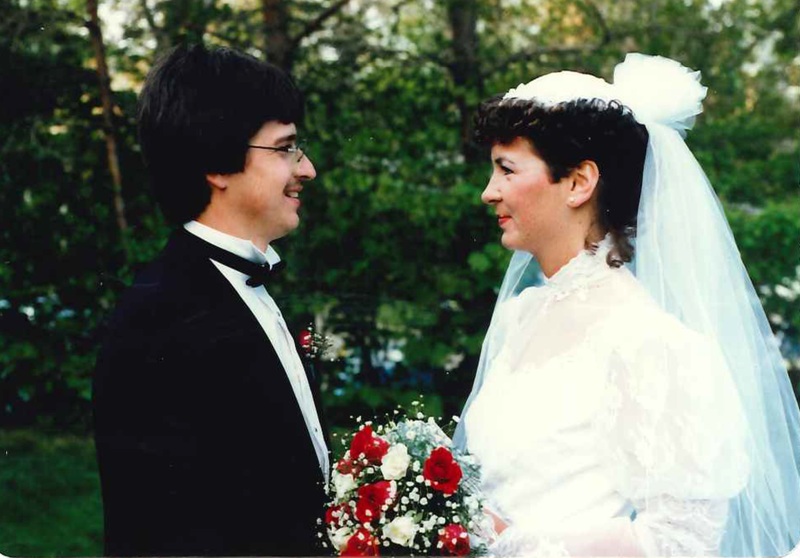 Also celebrating their 29th wedding anniversary is my sister Jackie and her husband Craig. You might know my sister Jackie as my partner in crime when it comes to travelling. As these two great couples toast this weekend, I thought I would share some wines that would be perfect for an anniversary. I’m so happy because our local NSLC store is now carrying one of my favourite Zinfandel wines. 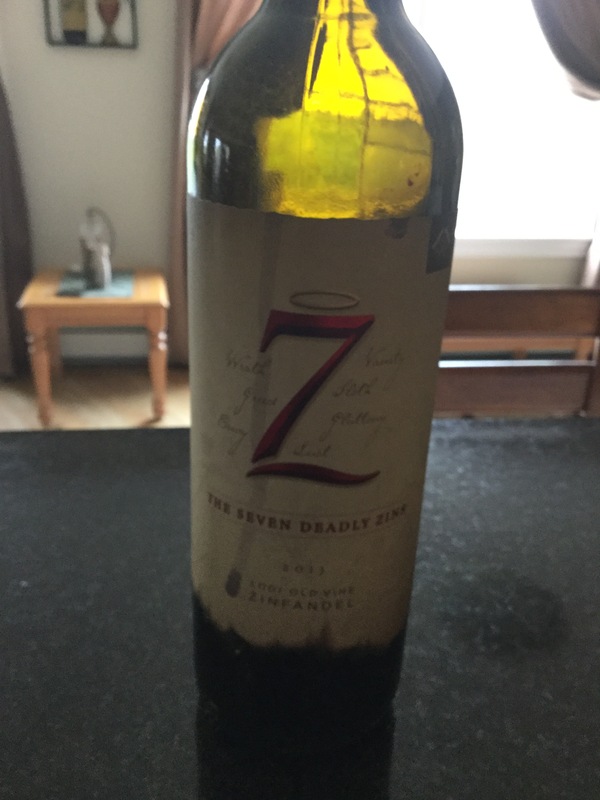 7 Deadly Zins used to be my treat when I would go home to Newfoundland. And now I can enjoy it here at home in Nova Scotia. This wine is sinfully delicious. Robert Parker gave this wine 90 points and for good reason. Gorgeous flavours of dried fruit and cranberries with notes of black pepper and an array of other spices. This past week I also had the pleasure of catching up with an old friend who now lives in Norway. 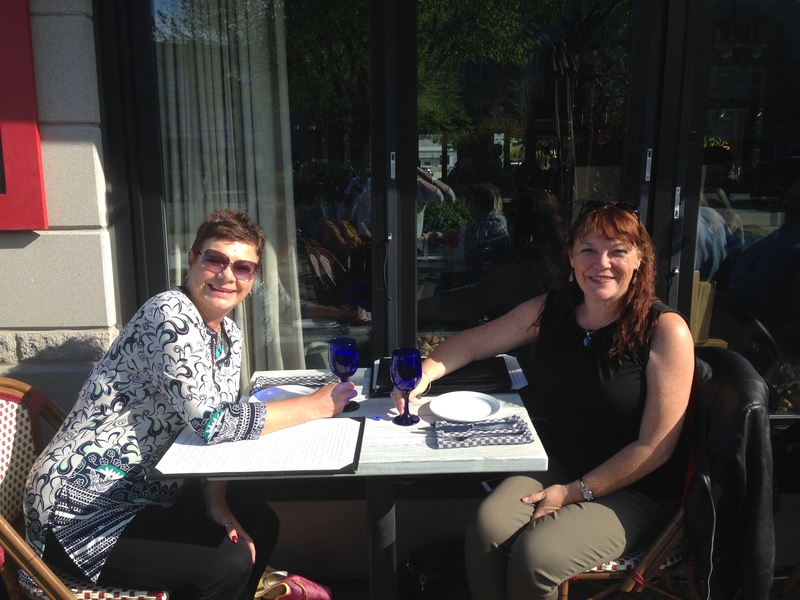 Michelle and I had a great meal at the Bicycle Thief on the Halifax waterfront and enjoyed a fabulous glass of wine. 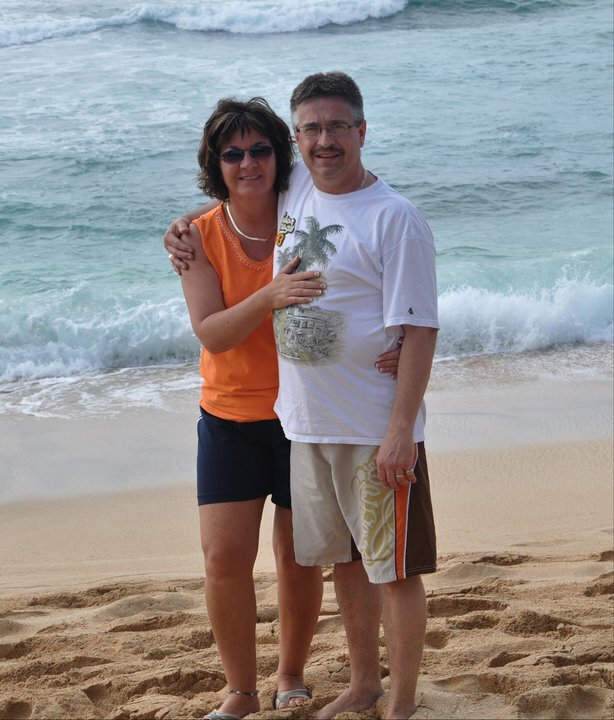 We worked together many years ago and our love of wine solidified a great friendship. I apologize for the bad picture. I tried to take a picture that shows the blend and the year but unfortunately the rest of the label didn’t quite make it. A couple of weeks ago I dedicated a full blog to South African wines. Remember I used to be the person that didn’t walk past the South African section, I ran past it. Here I am getting all gutsy trying new South African wines. The Dragon Tree wine from the Flagstone vineyard in South Africa makes a sumptuous blend of these three grapes. The grapes from this wine come from very specific vineyards, and the vineyards are picked because of the soil. Lots of stone and rock in the soil which the winemakers feel make for a very rich tannic wine. I really enjoyed this one. This is the best deal in the liquor store at the moment. 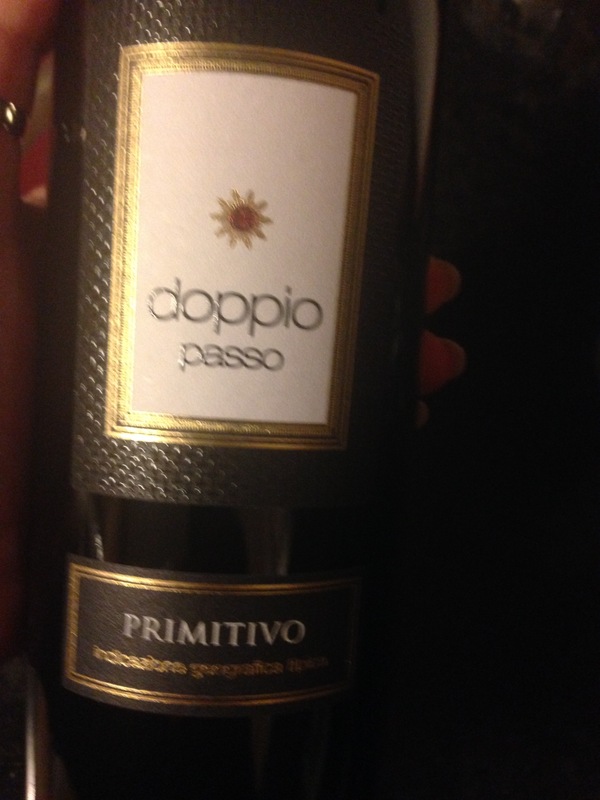 The Doppio Passo Primitivo from Italy sells for $16.99 a bottle and tastes like a $30 bottle of wine. This wine is rich in flavour and seductive on the palate. The richness is created by the process called Doppio Passo, which means ‘double step’. After the wine is made, the winemakers add grapes that were left on the vine and dried to a raisin-like state. This adds richness and intensity. 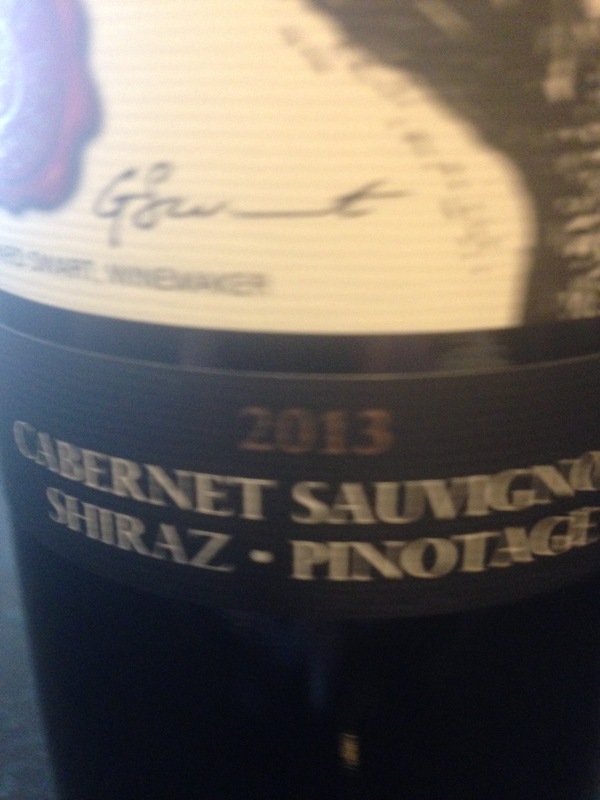 It’s a spectacular wine but because it’s priced at $16.99 a bottle, it’s my wine of the week! I hope you find your inner happiness this week and every week.